At what point did rice bowls enter our lives? I’m not sure when it was, but I’m really glad they did. 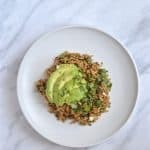 A rice bowl is a really handy mid-week dinner and this avocado rice bowl ticks all the boxes for it to be one of my favourite 30-minute meals. The flavours are bold – ginger, soy, cumin, cider vinegar, lime – but they come together well to form something that is rounded, exciting and a bit different from your typical cheese and ham sandwich. You can have this as an easy weeknight wonder evening meal in the summertime (make it more substantial with some chicken or roasted vegetables), make as a lunch to take to work, or have when you’ve people over and you want something tasty you can have outside alongside a glass of wine or a beer. And before anyone’s kind enough to point it out, I know it’s on a plate, not a bowl, but it looked a better that way. 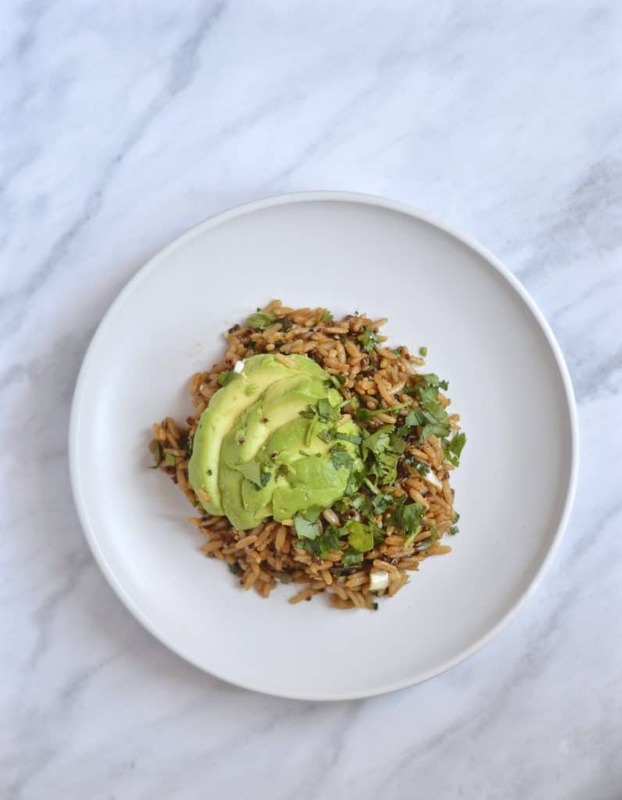 Avocado rice bowls are a great way to get a healthier meal in your day. 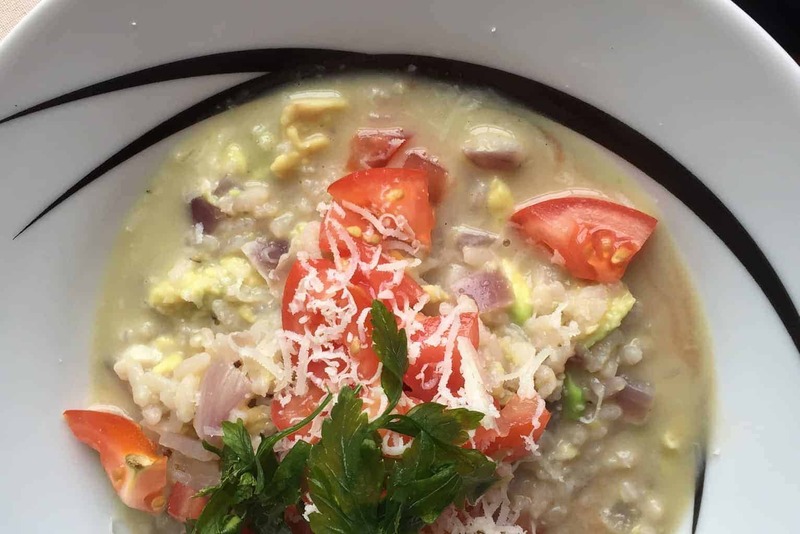 It’s a really simple recipe that has a delicious end result. This was made to serve 2 but is easily scalable or half-able. Put the rice on to cook, and leave it to its own devices. Chop your spring onions up quite small and finely chop the corriander. Place it all in a medium sized mixing bowl and to it add the ginger, seeds, oil, soy sauce and cider vinegar. Zest the half lime into the bowl, then add the juice. Use a fork to mix all of this together until it’s fully covered in the liquids and there are no clumps of anything. 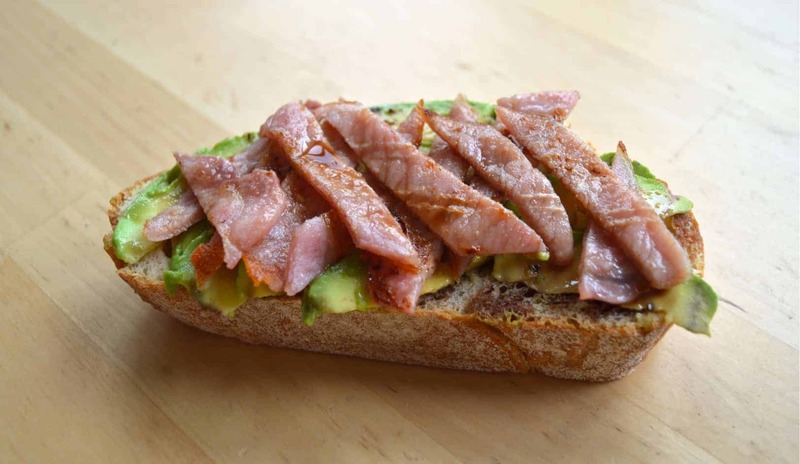 Use a knife to cut up the avocado into bite-sized pieces. Once the rice is cooked, drain it off and add it to the mixing bowl. Fluff up the rice and mix all the ingredients together and the contents of your rice bowl will appear in front of you! Taste and season as required. 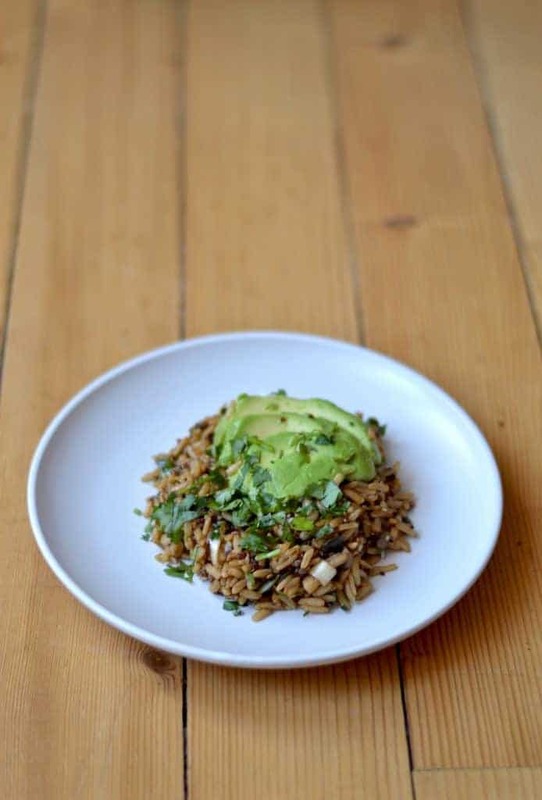 Transfer to a bowl, top with avocado and some more coriander, dive on in. Alternatively box up and take for lunch the next day.